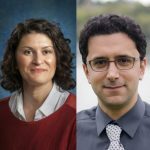 We are thrilled to announce that CSDE Affiliate Ali Rowhani-Rahbar, Associate Professor of Epidemiology and his project team (including affiliate Heather Hill, Associate Professor at the Evans School of Public Policy and Governance), have been awarded a highly competitive U01 grant from the National Institutes of Health to investigate the relationship between Federal Earned Income Tax Credits (EITC) and violence prevention. The project will be the first comprehensive evaluation of the impact of state EITCs as a primary prevention strategy for multiple forms of violence. While evidence has emerged on the impact of EITC on health and well-being, Rowhani-Rahbar and Hill note that there is a striking dearth of research on the impact of EITC on violence. Guided by a specific Theory of Change model, Rowhani-Rahbar and Hill will leverage a “natural experiment” through using the state policy variations resulting from the adoption and expansion of state EITCs over the past three decades to examine their impact on child maltreatment, youth violence, intimate partner violence, sexual violence, and suicide. Using 14 administrative, surveillance, and survey data sources containing information on a variety of violence outcomes over the period 1986-2017, they will conduct a quasi-experimental study to: (1) Evaluate the magnitude of the impact of state EITCs existence, type, and generosity on the primary prevention of each of the five forms of violence, (2) Explore whether the impact of state EITCs on these forms of violence differs by specific state-level and individual-level characteristics; and (3) Examine whether state EITCs influence specific shared risk and protective factors for these forms of violence, namely stress, parenting practices, material well-being, relationship quality, and financial independence. Considering the sheer burden of violence as a leading cause of mortality and morbidity in the United States, the investigators believe that even a modest impact of state EITCs in preventing some forms of violence may translate to positive changes. Characterizing and quantifying this impact can further inform the adoption and expansion of current and future economic assistance policies to prevent violence and improve public health. This project will access a number of datasets using the Northwest Federal Statistical Research Data Center (NFSRDC), located on the UW campus. The NFSRDC is an rich resource for accessing restricted federal data, with close ties to the CSDE community and support from the University of Washington. Faculty who are interested in exploring the potential of working with the NWFSRDC in their own research projects, should feel free to reach out to NWFSRDC Director, Mark Ellis, and CSDE Science Core Director, Matt Hall. For graduate students interested in this research, an exciting RA position opportunity has just been announced.